If a MethSolutions client has a situation where there is clear evidence of meth related behaviour having occurred, which would have been admitted had NZS8510 applied, but which is declined at the Tribunal. We will provide technical support for any appeal to the District Court at no charge. In developing NZS8510, the Standards Committee took into account the recommendations of the Ministry if Health when it comes to acceptable levels of meth residues in property. The Ministry of Health has not changed its recommendations. The Ministry of Health based its recommendations on a report provided by ESR. ESR commissioned an overseas toxicologist to ensure that the findings of the report were as free from local political influence s they could be. ESR standards by its report. If you are wondering why ESR have not been more forthright in defending its science, it is worth noting it is a Government owned crown research institute, that relies on the Government for funding. When the processes outlined in the Standard are followed, there is an extremely high-level of confidence that health and wellbeing will not be compromised. Further, there is a mechanism which allows the active management and deterrence of meth related behaviour in a property. 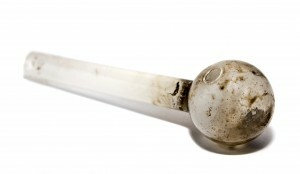 Tenants who choose to engage in meth related can be held accountable. As a result, tenants who use meth are discouraged from renting a property which is being actively managed for meth risk. The property is protected from a hidden risk. And this minimises the impact of meth residues on the future sale price. Few people are happy with meth residues in property. The downside, is more money being spent on maintenance of meth residues at a lower level than that proposed in the Gluckman report. Costs which are largely recoverable form insurance and/or borne by the responsible tenant. When the processes recommended in the PMCSA Meth Report are followed, a property owner is able to reduce the costs of maintaining their property. However, they achieve this, by giving up on active management of meth related behaviour. By following the Government’s Chief Science Advisors advice, when meth related behaviour occurs, they are unaware. Only finding out when an instant answer kit that triggers when the level of 15 is breached returns a positive. Or when a purchaser gets a lab backed test and finds lower levels of meth residues present. Because they did not manage the risk, the landlord who follows the PMCSA advice, will not be able to hold responsible parties accountable for their actions. And this inability, reinforced by the recent decision of the Tenancy Tribunal to give precedence to the PMCSA Report over the Ministry of Health recommendation, removes a significant deterrent factor for meth related behaviour.